Measure once, cut twice, and still screw it up. Or something like that. So glad I found something that doesn’t look a piece of alien technology, covered in pulsing LEDs... I still haven’t been able to test it, but it looks perfect imo. Old school, with modern functionality. 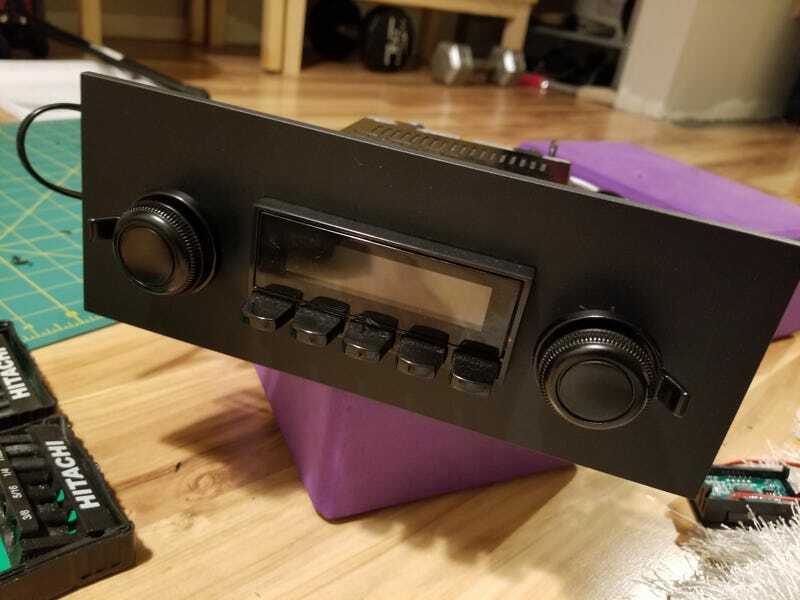 Now I just need to connect it to my amp and power somehow, and figure out a way to get the whole thing stuck in my dash. I adjusted the shafts to get the faceplate mounted flush. Better? Worse?